Egypt guarded herself after the Second Intermediate Period. She carved out an empire using foreign allies as “buffer states” to guard against invasion. Some of these lands never realized the Egyptians were “using” them. They constantly asked the pharaoh why he had not sent them presents of gold. The New Kingdom, often called the “Empire Age,” began with the Eighteenth Dynasty, famous for such fascinating rulers as Hatshepsut and Amenhotep III. Another famous pharaoh, Akhnaton, set up a short-lived new religion worshiping a singled god called the Aten. 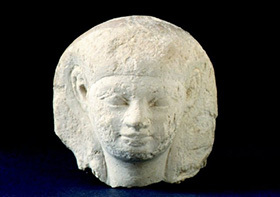 Akhnaton’s son, King Tutankamun, lived to rule for only a few short years. Rulers: Amenhotep III, Amenhotep IV (Akhnaton), Hatshepsut, Ramses II, Ramses III, Tutankhamun, and Thutmose III. Monuments: Abu-Simbel, Abydos – Temple of Seti, Akhetaton (Tell-el-Amarna), Amenhotep III’s Mortuary Temple, Deir-el-Bahri (Temples of Hatshepsut and Thutmose III), and Luxor Temple.